“Technological innovation and know-how is the bedrock of our knowledge-based economy. It’s what keeps our companies competitive in the global market and supports hundreds of thousands of jobs across Europe. 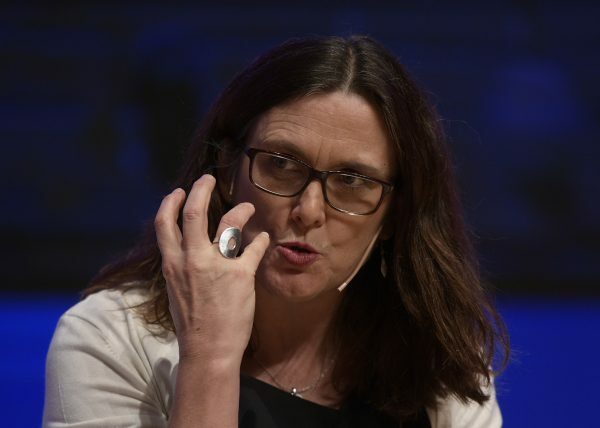 We cannot let any country force our companies to surrender this hard-earned knowledge at its border,” European Commissioner for Trade Cecilia Malmstrom said in the press release. She noted that such technology transfers are against WTO rules, particularly the WTO Agreement on Trade-Related Aspects of Intellectual Property Rights signed by member nations in 1995. In a 2017 business confidence survey conducted by the EU Chamber of Commerce in China, 17 percent of all respondents said they were pressured to transfer their technology. Businesses in high-tech sectors, such as aerospace and aviation, auto, and machinery industries, especially felt the coercion, with more than 20 percent of respondents saying they were pressured. In its complaint, the European Commission targeted two specific sets of Chinese policies, known as the TIER (technology import and export regulations) and JV (joint venture) regulations, which it says discriminate against non-Chinese companies. In an assessment of China’s intellectual property (IP) practices, the United States Trade Representative’s (USTR) office explained that TIER imposes restrictions unfavorable to foreign firms, such as requiring that all improvements made to technology belong to the party that has made the improvement. This would allow a Chinese company that a foreign firm has partnered with to patent any improvements it makes that are “severable from the original invention,” while the original creator is blocked from using the improvement in China. The original licensor also cannot restrict the Chinese entity from capitalizing on its technology to make improvements. Meanwhile, the joint venture regulations limit technology contracts to a 10-year period and mandate that the Chinese joint venture be granted the right to use the technology in perpetuity after the contract expires, according to the USTR report. In fact, earlier in March, the United States filed a similar complaint with the WTO, claiming that China has been “denying foreign patent holders, including U.S. companies, basic patent rights to stop a Chinese entity from using the technology after a licensing contract ends,” according to a statement by the USTR’s office. The U.S. complaint was filed following the publication of the USTR findings, as part of a set of trade measures President Donald Trump announced in order to penalize China for its theft of intellectual property, including the much-talked-about $50 billion worth of trade tariffs on Chinese imported tech goods. Following the EU complaint, the Chinese regime issued a statement denying the country has engaged in unfair IP practices. 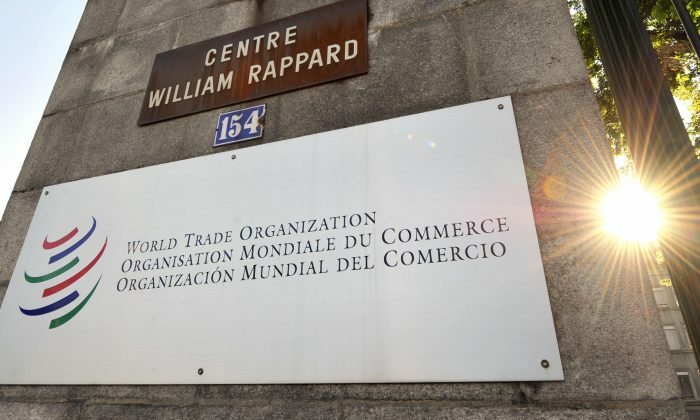 WTO consultations will go on for 60 days. If the parties involved do not reach a resolution by then, the WTO will establish a panel to rule on the issue.